The Olympics and Paralympics might be every two years, but we're fans 365 days a year. 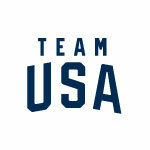 Sign up today to become part of the Team Behind the Team — the fans who stand behind Team USA. Be there for every moment.